Dream of sandy beaches, crystal-clear water, and a sold out event? The foreground of the Hawaii Invitation features a strong surfer. In the background palm trees stretch under the warm Hawaiian sun. Get into the swim when you use this colorful invitation template along with its matching Event Kit. 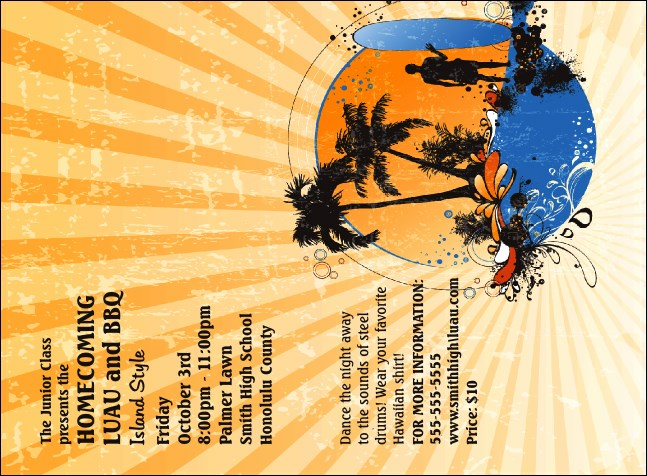 Customizing your Invitations with TicketPrinting.com templates is like a day at the beach!